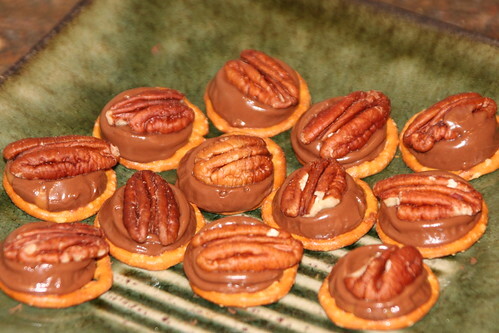 Yesterday I made Rolo Turtles! These babies are amazing. They look so simple but are very tasty and a great treat! Maybe even a Christmas time present...you know, a bag of these babies for all of your friends?! Just make sure you make a lot because everyone will be scarfing them down! Before you get started, preheat the oven to 250 degrees. 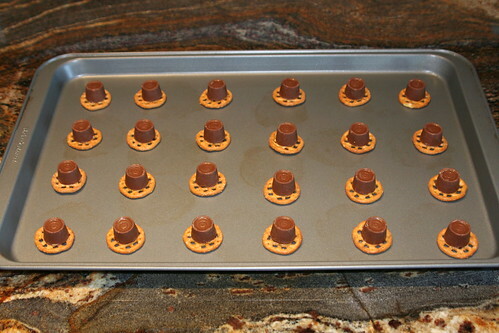 Arrange the pretzels on a cookie sheet. 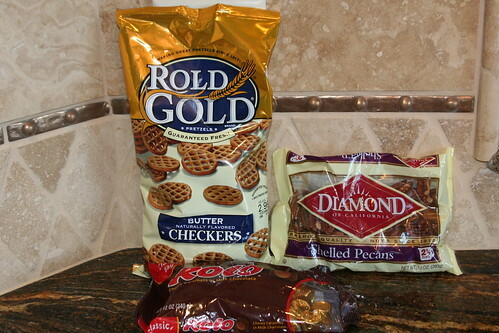 Place a Rolo on the top of each pretzel. Place in the oven at 250 degrees until the Rolo starts to melts, about 5 minutes. 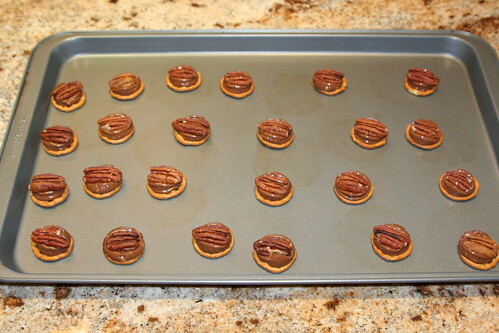 Remove from the oven and top with a pecan half. Let the pan cool a bit and then place in the fridge until the chocolate hardens, unless you want them gooey. I promise these are worth it! And if you haven't tried my Cookie Stuffed Oreos, go here and consider! I've gotten some good feedback from readers! You always have fantastic and simple recipes! Keep them coming!! :D I wish I could help with the photography question. Maybe try placing them somewhere with a ton of natural light. Might help with the flash/ glare problem. And choreography is like learning to dance. Most people don't start off super confident and knowing exactly what to do. Just like being a student- choreography takes practice. :) as a teacher I like to take a few of my class times and spend them letting my students choreograph. That way they've already had some experience behind them- even if they're only 8 yrs old. :) so I say if you're interested in teaching, go for it!! 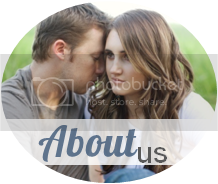 :) are you still living in the Utah county area? These are also really good with a Peanut M&M on top!